Over the last few decades, there has been an increased call for pain relief options from consumers and advocacy groups. Even though this means that more people are able to benefit from a life without pain, it has increased the number of people who need painkiller addiction treatment as well. Most people would consider pain management to be an important factor in modern medicine. It has become acceptable for people to take a pill if it means that they are able to resolve their pain. Unfortunately, recent statistics reveal that pain management has become an encompassing issue, and over-prescribing is a serious problem. How much of a problem? The figures from the Centers for Disease Control and Prevention reveal that there were enough prescription painkillers on the market in 2010 to medicate every adult in the country for more than a month. Despite the fact that medical providers and pharmaceutical companies state that these medications are safe when taken under the direction of personal physicians and with the proper dosage, they cannot ignore the fact that more and more Americans need pain pill addiction help. It is important to note that these medications are intended for short-term pain management. The addiction to painkillers often begins when people take more than the prescribed amount, or they find that they are unable to cease use after the prescribed period. Because prescriptions are readily available, people might be tempted to give otherwise legitimate prescriptions to friends and family, or sell them to other interested parties. According to reports from the Office of Applied Studies, almost 40 percent of the people who needed help for pain pill addiction would receive these painkillers from friends or family members – without it costing them anything. Almost 20 percent of the people who needed help with painkiller addiction were able to procure the drug from friends or relatives. It should be obvious that this is not a substance that people have to search for, most people know someone who has a prescription. Most of the modern opiate painkillers on the market are in the same family as, or share familiarities with, opium or heroin. This should tell you why treatment for painkiller addiction is so imperative. The ingredient in the narcotic attaches itself to specific brain receptors. What this does is force the brain to release endorphins. This causes euphoric sensations during which the user can feel calm and serene. Even though users feel less pain, those who abuse the medication only care about the sensations of euphoria or happiness. Keep in mind that even people who take these drugs as prescribed might need pain pill addiction treatment. However, if the pills are dissolved in water or crushed, they effects become far more intense. Rather than utilize the time-release mechanism, the pleasant sensations immediately wash over the user. 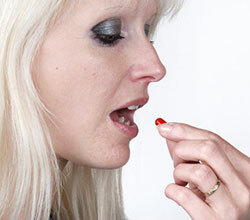 One of the reasons that people need rehab for painkiller addiction is because the body starts to develop a tolerance. The tolerance that builds up is a clear sign of dependence, and means that the flow of chemicals in the body is not like it was before. The euphoric sensations that the user felt the first few times are now lessened. This is not a problem for the people who take this drug as prescribed; they should still have the pain-killing effects. However, those who abuse the pill for recreational use or because they have become dependent on it will notice a definite problem. They will need increasingly higher dosages to be able to get their desired feeling. As a result, many people struggle with having enough drugs available. While some might try to steal or buy medications from others, others may try to get pharmacies or physicians to give them more medication. After the body develops a tolerance, the body has started to expect the narcotic to be present. Those who are long-term users or who abuse the drug heavily will find that withdrawal symptoms begin several hours after last using. Because these unpleasant withdrawal symptoms can be extremely difficult to deal with, most people need painkiller withdrawal treatment to help get them through this difficult stage. Because users know that using again would quell the discomfort, they may be tempted to relapse. This is why rehab for pain pill addiction is needed – not just because it offers immediate support, but because it helps people get through this difficult transition period. In those situations, it is a good idea to have medical professionals offer painkiller addiction help. Some of these withdrawal symptoms can be extremely hazardous to the user’s health. 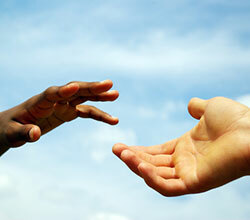 Addiction treatment is about more than just offering moral support. What are you able to do if someone that you know needs help with pain pill addiction? 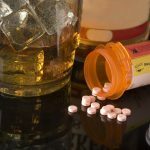 The first priority for anyone struggling with dependence is finding them the best possible pain medication addiction treatment. This step can feel uncomfortable, especially because it means confronting the drug abuse problems. Even though it might feel as though you are the only person who is struggling with this issue, remember that approximately 5.1 million Americans abused medication in 2010. If you or someone close to you is struggling with painkiller addiction, at least you can take solace in knowing that you are not the only person in the country going through it. 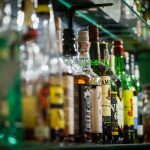 If you want to try and get the best possible detoxification and rehab options, if you want to give someone the best possible start for a sober future, it is vitally important that you find a treatment option that matches their needs. If you know someone who struggles with painkiller dependence, do not delay any further – pick up the phone and call.